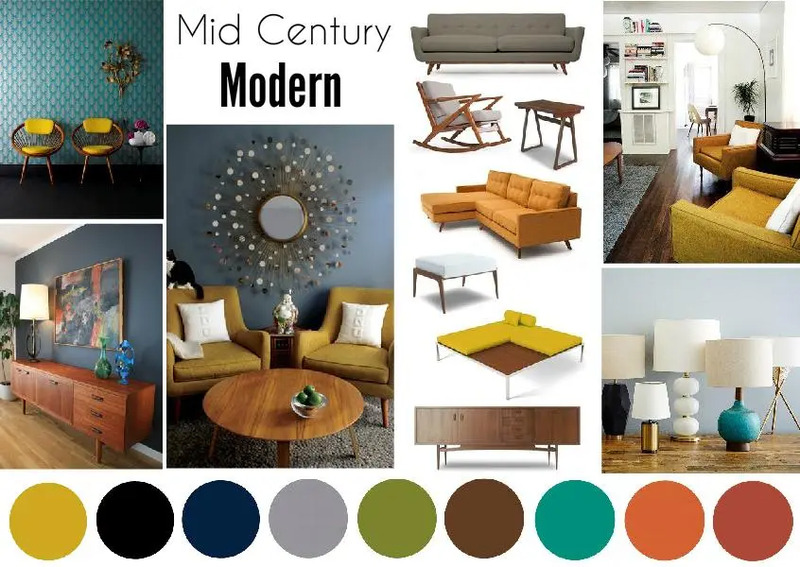 When done correctly, a mid-century modern design aesthetic, with its bold graphic designs, clean lines and bold colors, can make any room a show-stopper. 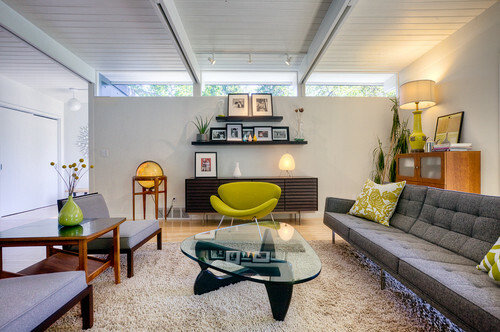 But these same characteristics can make decorating with a mid-century modern theme quite intimidating. 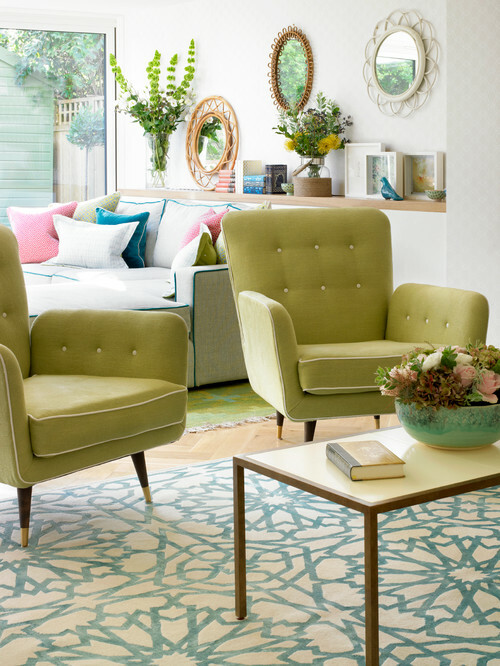 Get some inspiration by checking out some of these well-appointed retro rooms. 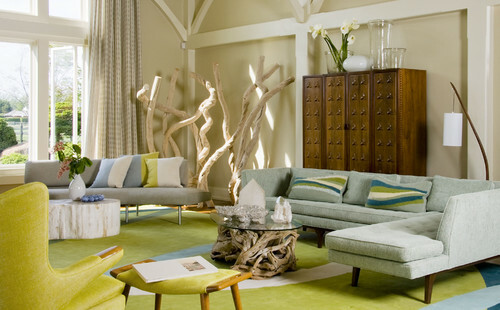 The ethereal color palette and driftwood accents, balance the bold, modern style, creating a calm, inviting living room in this beach-themed, modern room. Plus, that coffee table. Wow! Look at that sofa! I’m in love! The olive accents found in the chair and lamp go so well with the charcoal sofa. The lines of this kitchen are so clean and modern. The white mid-century accents, along with those gorgeous cabinet pulls, give this kitchen so much character. Now there is a statement piece. Okay, so the fireplace is amazing, but the rest of the room is pretty fantastic as well. The accent pillows, of which there are quite a few, are a beautiful palette. With that view outside the full wall of windows, it’s amazing I can’t stop looking at the Fireorb. 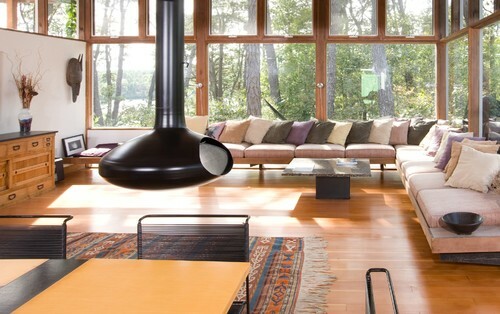 Yes, the fireplace is called a Fireorb. That makes it even more fantastic. This romantic living room with subtle Mid-Century accents, such as the gorgeous console table and bold pops of blue, is inviting and warm, something rarely achieved with Mid-Century design. 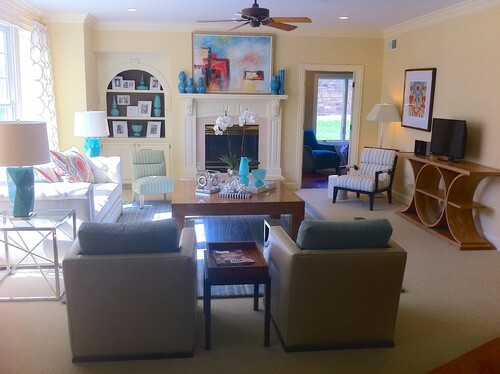 Keep the accents in the same or complimentary color families to create a cohesive look! 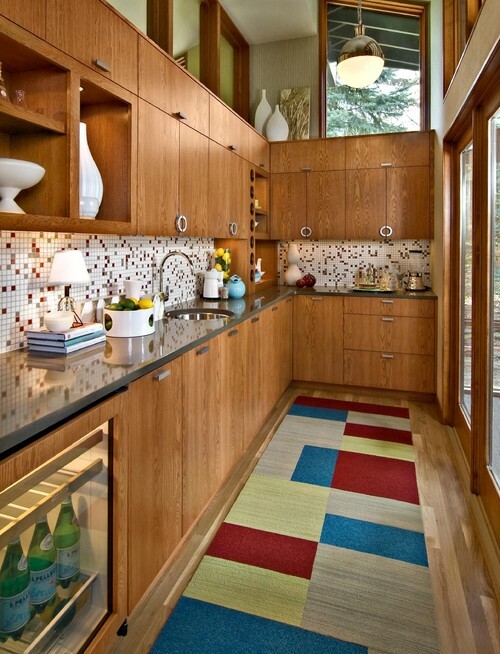 Mid-Century Modern design can easily lend itself to a groovy vibe, but this room somehow mixes fun, groovy pieces, with natural wood that creates a classy, adult space with tons of character. The mix of textiles, colors and textures create an eclectic space. 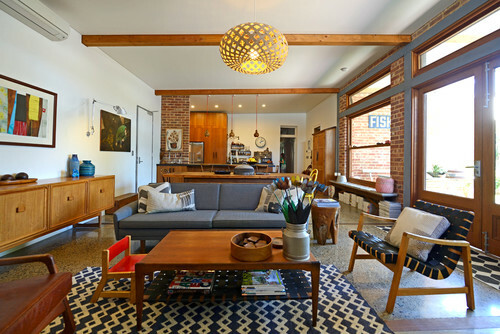 My favorite parts are the mix of chairs and that gorgeous pendant lamp. I’m not sure what it is about this green tone, but it screams mid-century modern. The contrast between the solid green chairs and the bold graphic of the rug is just perfect, even when it seems it shouldn’t be. For more home ideas and inspiration visit Modernize!